Update, Get the full version here! You want a colorful and translation-ready WordPress 3.0+ theme based on almost all the handy functions from the default Twenty Ten WP theme? Well, Here it is! The new 2010 FreeDream child theme is ready to go for Free, – released under the GNU license! The 2010 FreeDream Child theme for WordPress 3.0+ is stylish, customizable, and readable, with rounded corners – make it yours with a custom menu, and a background. 2010 FreeDream supports six widgetized areas (two in the sidebar, four in the footer) and featured images (thumbnails for gallery posts). It includes stylesheets for print and the admin Visual Editor, special styles for posts in the “Asides” and “Gallery” categories, and has an optional one-column page template that removes the sidebar. Ifølge denne artikel på WordPress.dk er den danske udgave af den nye WordPress Version 3.0 “Thelonious” lige på trapperne, – glæd dig til det, hvis du ikke allerede har stiftet bekendtskab med den nye engelske sprogede version, som nu er frit tilgængelig til download eller opgradering. Version 3.0 er blevet til efter mere end 6 måneders hårdt arbejde fra 218 udviklere (tak for det!) og indeholder igen mange rettelser og forbedringer for brugeren af WordPress. Du finder WP 3.0 kompatible danske temaer til din WordPress webside her! 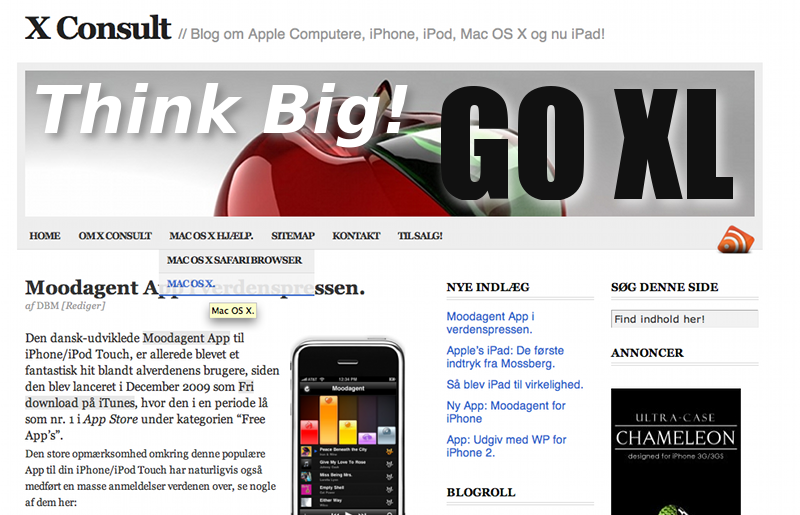 Kender du ikke WordPress endnu? – Så skynd dig at hente din frie version af verdens bedste udgivelsesplatform! I’m happy to announce that the free WP Themes from here, are all testet ready to go with the new WordPress 3.0 Blog-software! The new NeoClassical XL 1.1, the light ‘n’ bright Blogline-W2-3c, the simple NeoClassical 2R and the very black NeroClassical 1.1 Themes, are all compatible with the new fantastic WordPress 3.0 version. 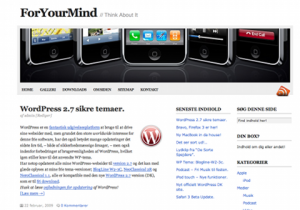 Choose your free WordPress-Theme from here! 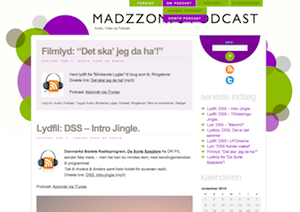 Det nye frie Neoclassical XL tema er en X-large version af det populære NeoClassical 1.1 2R tema til WordPress som nu er tilgængeligt komplet i en dansk version med horisontal Drop-down menu for dine statiske sider. Med denne frie version får du store roterende Header billeder (900x180px), større overskrifter, samt rigeligt plads til at præsenterer en 480px bred Youtube-video i indholdsfeltet på din side. Hent og læs mere om NeoClassical XL på dansk. Despite the fact, that the popular Neoclassical 1.1 theme have some years on it’s back now, – it’s still a awesome, easy-to-customize and SEO friendly theme for your WordPress website,- if you still like to get your own hands under the bonnet and do some HTML- and CSS coding yourself.